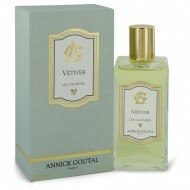 One splash of Ambre Fetiche creates a mysterious, exotic air that lingers among those you encounter .. Inspired by a moonlight stroll under a star-filled sky, Nuit Etoilee is a unisex fragrance that is p..
Annick Goutal Rose Pompon is a charming blend of floral and fruity accords. Introduced in 2016, this..
Eau D'Hardien is an unisex cologne named after the famous Roman Emperor Hardien. Composed in 1981 by.. 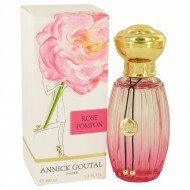 This fragrance was created in 1997 based on Annick Goutal's travels to Tuscany and Provence where sh.. 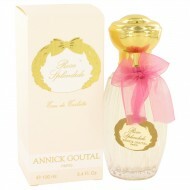 Launched by the design house of Annick Goutal in 1996, GRAND AMOUR is classified as a luxurious, gen.. Translated from the French, Heure Exquise is the hour when dusk turns to evening and flowers give of.. 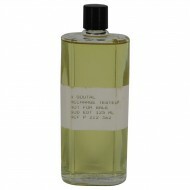 The evening version of this highly regarded unisex niche fragrance, is decidely feminine. 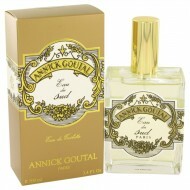 Added to t..
A fine choice for an autumn afternoon or evening, Mandragore Pourpre from Annick Goutal features not.. 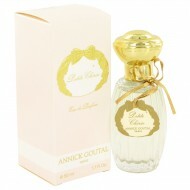 Launched in 2010 Ninfeo Mio was created by Annick Goutal with perfumers Isabelle Doyen and Camile Go.. 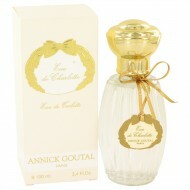 Created by Annick GoutalÆs daughter, Camille Goutal as a tribute to her mother. The distinctive scen.. 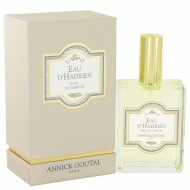 Inspired by a Japanese garden after a thunderstorm, Un Matin d'Orange was created by Isabel Doyen fo..